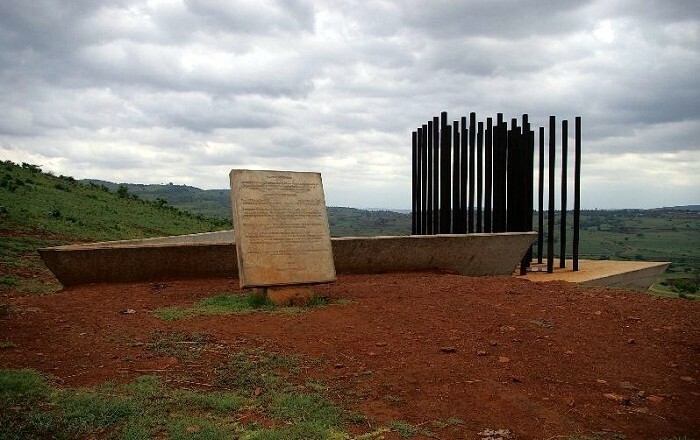 Samora Machel Monument is a memorial which marks the spot where the plane that was carrying the then President of Mozambique, Samora Machel, crashed in 1986 near the village Mbuzini in the Mpumalanga Province of the Republic of South Africa. 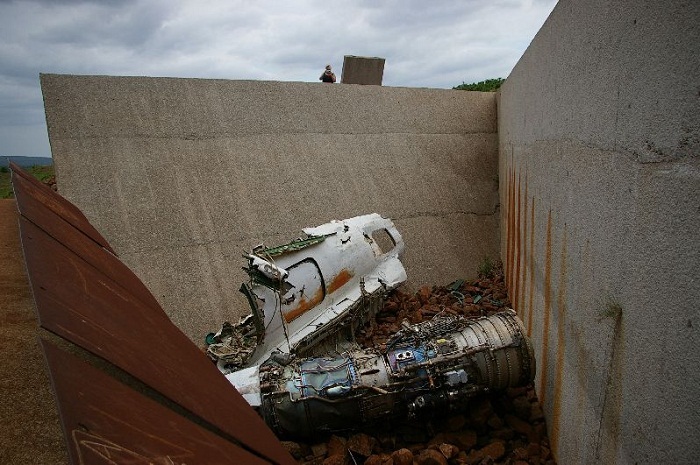 On 19 October 1986, a Russian plane Toplev 134 with Russian pilots had taken a sharp turn at a 37 degree angle and plummeted into the Lubombo mountains at about 20:00h. 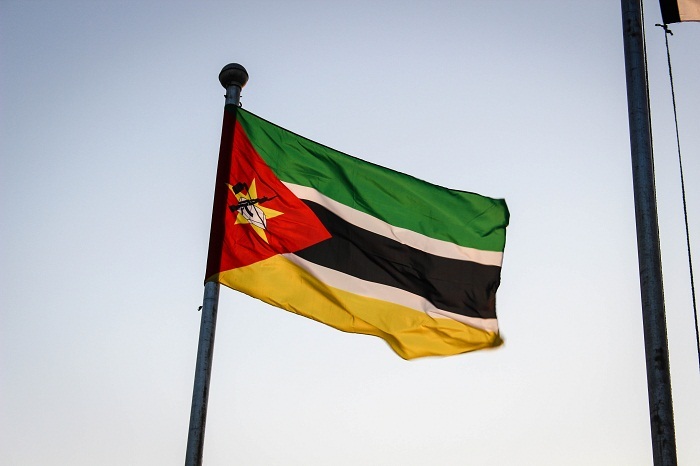 Out of the 44 passengers, together with the former Mozambican President Samora Machel, 34 other high ranking Mozambican government officials have died in this tragic, and yet still unclear crash. 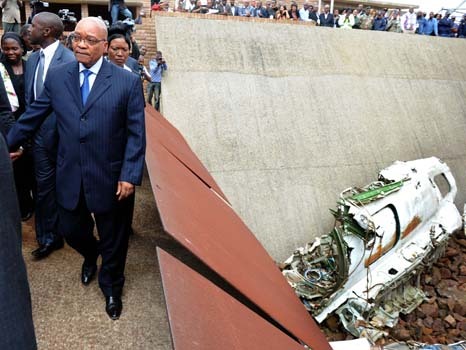 The official Commission of Inquiry into the accident, chaired by Judge Cecil Margo, highlighted pilot error while other reports claimed that a false beacon planted by South African agents was the catalyst for the crash. In 1999 a monument was designed by the Mozambican architect Joes Foraz, and unveiled on 19 January 1999 by the late President of South Africa, Nelson Mandela. At a cost of $240,000, it consists of 35 tubes of steel that create a wailing sound in the wind and cast long shadows over the base, it also incorporates some of the wreckage of the plane. 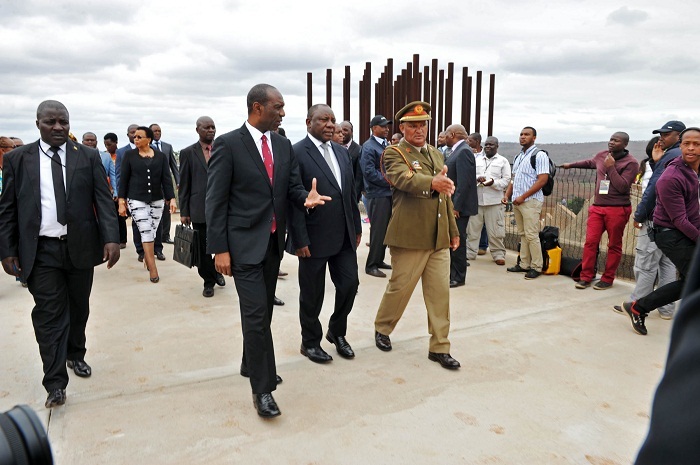 Since Samora Machel was an outstanding African leader, the monument in 2006 was upgraded with an exhibition area, a library with English and Portuguese books and an amphitheater with hope that in the future it will attract more and more visitors. 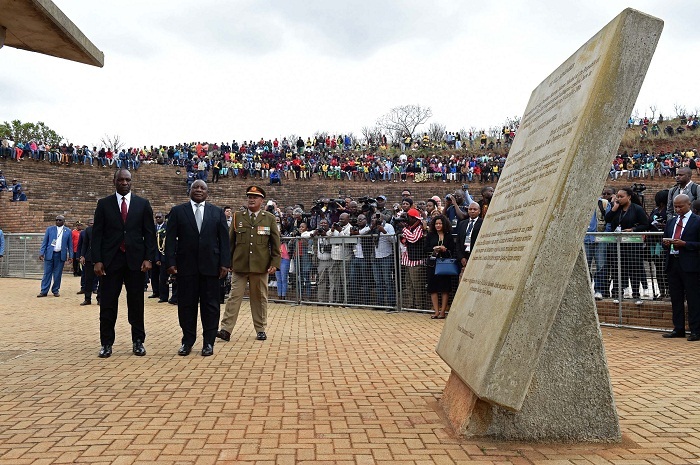 Also there is an erected statue of the President at the site which was donated by Norwegian anti-apartheid artists. The roads leading towards this monumental memorial are being improved, and the short distance from the borders with Mozambique and Swaziland means that people from those countries are visiting the memorial to pay their respect to a great leader.